Last week DCIG published their “2015-16 All-Flash Array Buyer’s Guide.” We’ve grown accustomed to ignoring most “Magic” and “Best Of” quadrants and awards respectively because almost every time they’re garbage. Analysts or media members anoint some vendor or technology best, shiniest, most rectangle or whatever else they can come up with to promote their own brand. What’s worse are the awards that are paid for, an even more disturbing part of enterprise IT sales and marketing. So far in this series of posts on SSMC I have covered what’s new in the latest version, how toinstall SSMC and how to add systems to SSMC. Today I want to run through the basics of the new interface so you can get up and running fast. SSMC looks significantly different to the 3PAR Management Console, so the purpose of today’s post is to provide some familiarisation and to learn how to move around the new console. Adaptive Optimization (AO) is 3PAR’s disk tiering technology, which automatically moves the hottest most frequently accessed blocks to the fastest disks and at the same time moves the infrequently accessed cold blocks of data to slower disks. If you are from an EMC background AO is comparable to FAST VP, if you are from a NetApp background welcome to the brave new world of tiering. With our previous installation project (part 1 & part 2) we installed the complete HP blade server infrastructure with Generation 9 blade servers and Virtual Connect FlexFabric modules up&running in the rack. They have been on display in the PROOFMARK portal ever since and quite a few of you have already seen them in action. Now it is time to add some serious storage to the picture! The Death of 10K RPM Drives. Why? The cost per usable GB of flash will match 10K rpm SAS drives this year. maintaining the resiliency and wear handling that data centers require. 2014 brought the availability of “data center quality” flash at $2.00 per usable GB with the combination of large capacity 1.92GB flash drives and compaction technologies. This was significant in that $2/usable GB is the same cost as 15K rpm SAS drives, and accordingly (I can say for my employer) we shipped more flash capacity in the second half of the year than 15K rpm disk capacity. HP Storage and HP 3PAR StoreServ continue to be in the limelight with announcements of new products or innovative new technologies at every single HP Discover event these past few years. 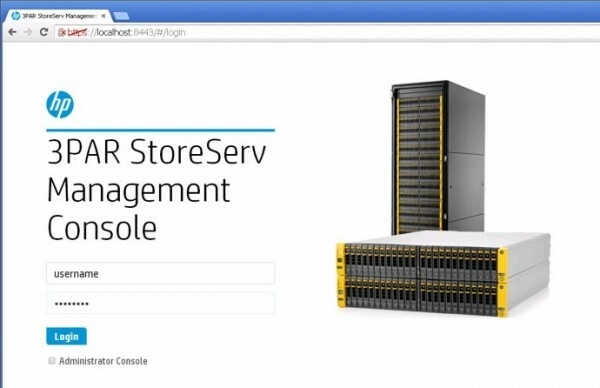 HP Discover 2014 Barcelona was no exception – with the announcements of HP 3PAR StoreServ 7440c Converged Flash Array, HP 3PAR File Persona, Online Import support for EMC VMAX, StoreServ Management Console and Recovery Manager Central.